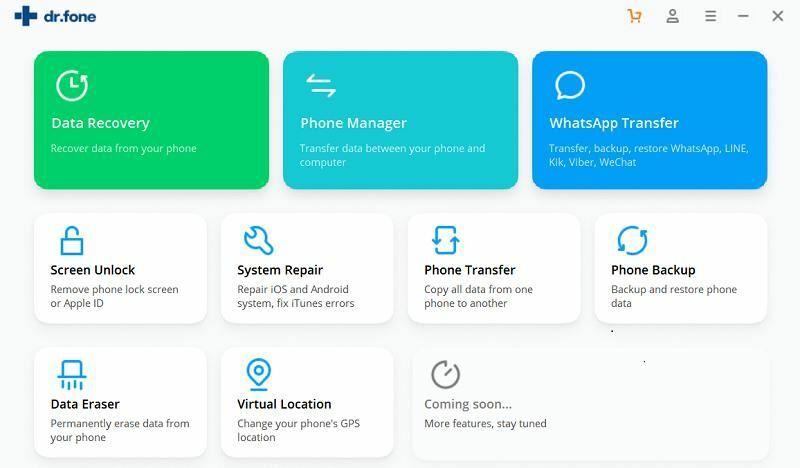 When your iPhone or other iOS device runs slower, you may consider to free up the space for improving its performance. The iSkysoft Toolbox-iOS space saver provides you an efficient option to save space on iPhone/iPad or iPod without deleting any files or important data on your device. Let’s follow some simple steps to manage and optimize your iOS device to retain some more storage space now. Before we get started, make sure your iOS device is connected successfully to the computer. 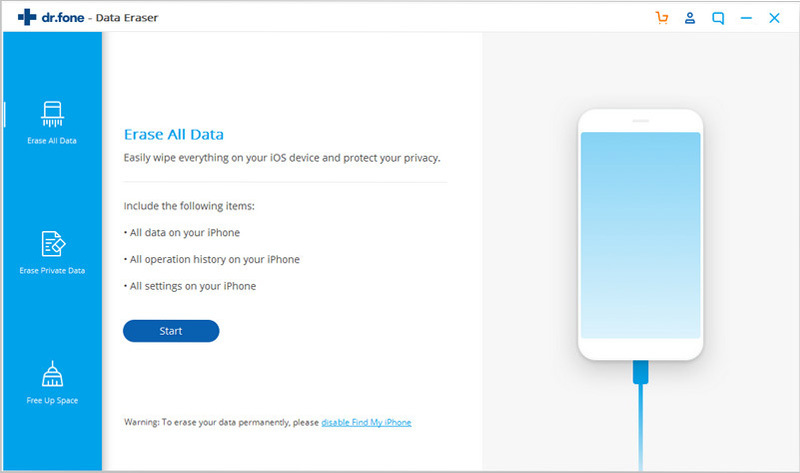 Next, please download and launch the iSkysoft Toolbox application, along with tapping on “Erase” on the homepage below. Choose the “Space Saver” in the following section. This is where you can optimize the photos on your iPhone or other iOS device to free up space and boost the device performance. To compress the photos on iOS for more space, we choose the first option on the screen below. 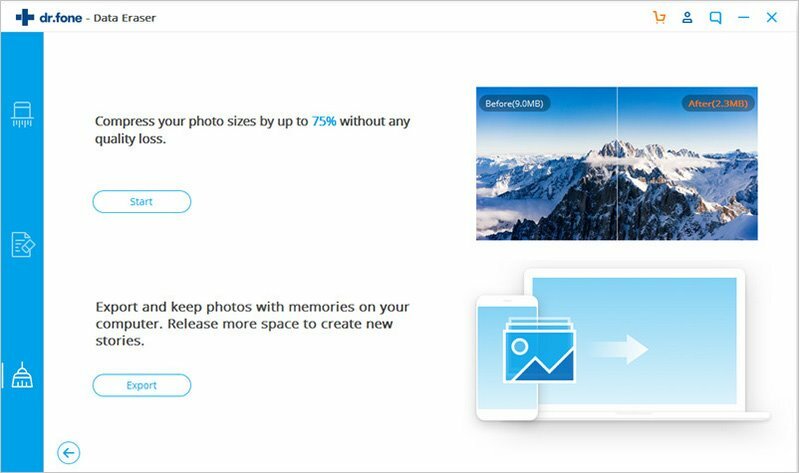 The program is able to help you compress the photos for saving up to 75% storage space without compromising the photo quality. 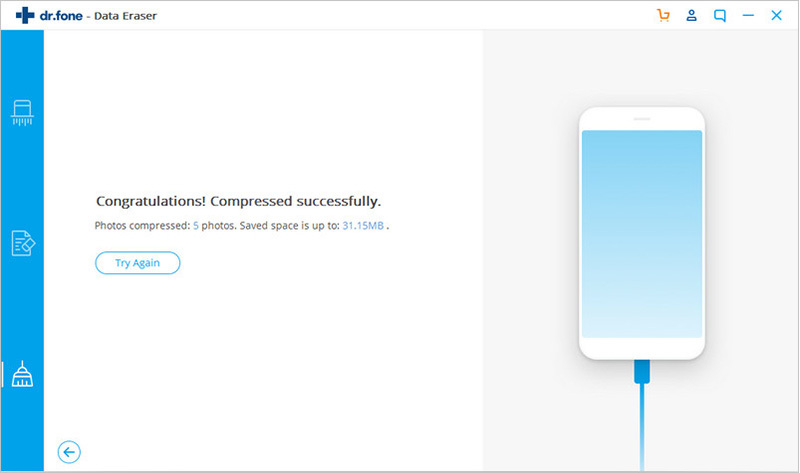 To start with compressing, please click on “Start” button. The application will begin to scan all of photos stored on your iOS device. 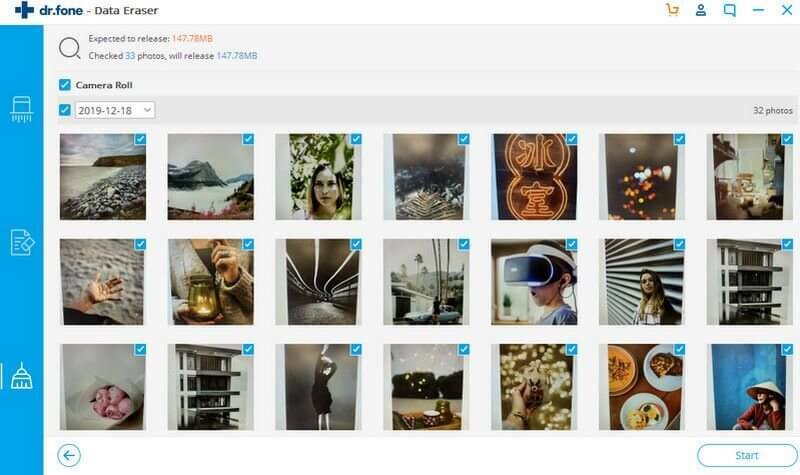 After the scanning, you are able to check and select the photos that need to be compressed and then tap on “Start” as shown below. 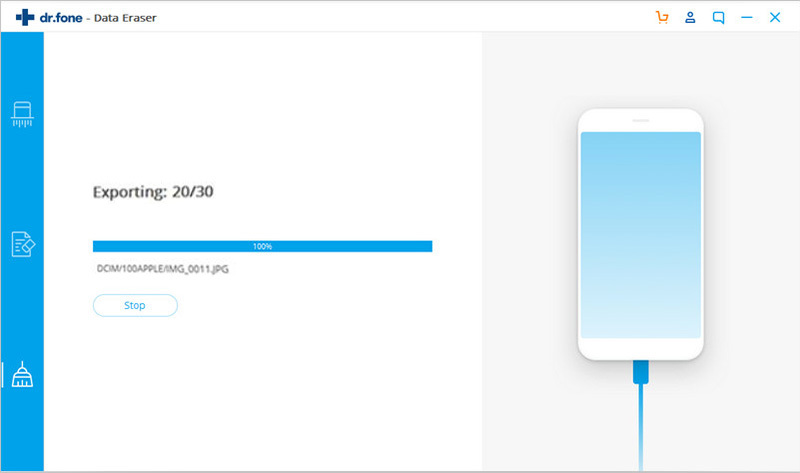 After the compressing is done, the interface will show how many photos have been optimized along with the total of saved space on device. 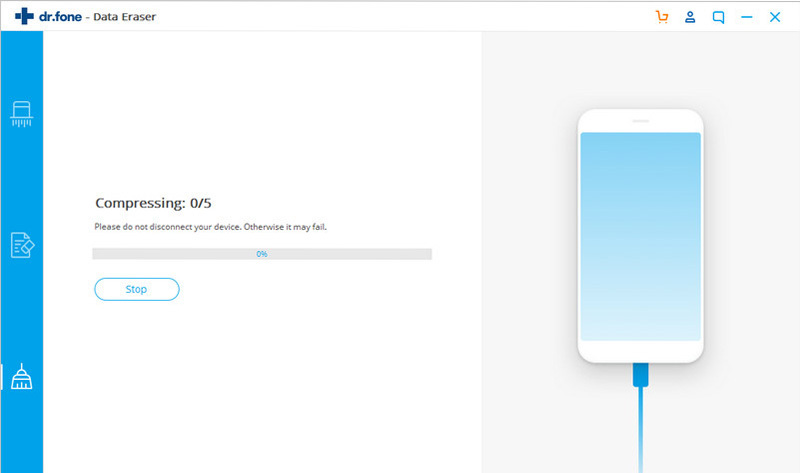 Note: Following the steps above, if you think there is enough space saved on device, you do not need to proceed with the step 3 below. If you still want to free up space on iPhone/iPad or iPod further, please find the “Space Saver” by running the iSkysoft Toolbox and then tap on “Erase” and “Space Saver” respectively as mentioned above. After that, we choose the second option on the screen below and then tap on “Export”. 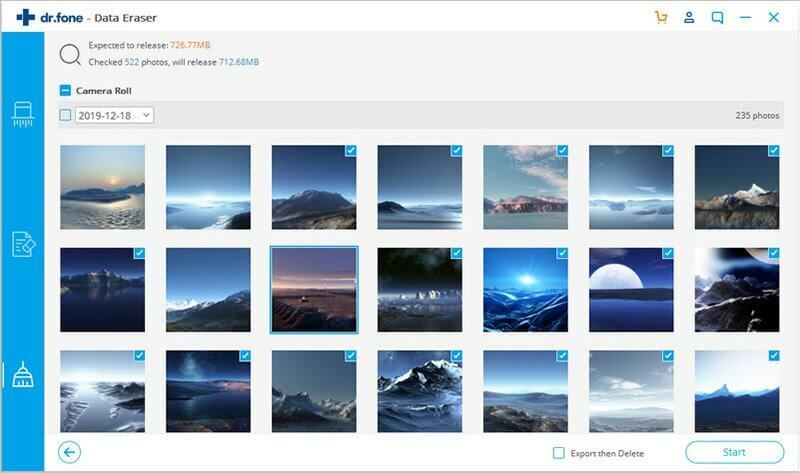 Then all of your photos stored on iOS will be listed by different dates. Please select the photos you want to save and then tap on “Start” for exporting these photos to your computer. Note: Before you tap on “Start”, if you want to free up space further, please make sure you tick “Export then Delete” which means the photos will be deleted on device after they are exported to computer. Otherwise, it makes no sense to free up space on iOS if you do not tick “Export to Delete”. Next, please choose a storage location for saving photos on your computer and then tap on “Export”. 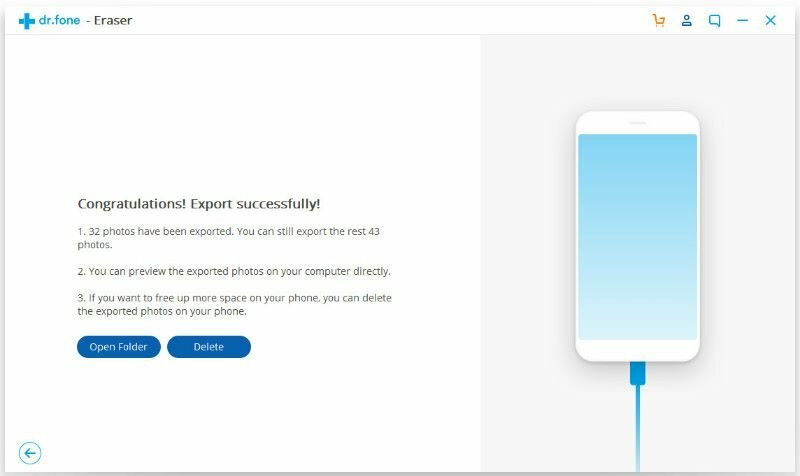 The iSkysoft Toolbox will begin to export your photos on iPhone/iPad or iPod to your computer. 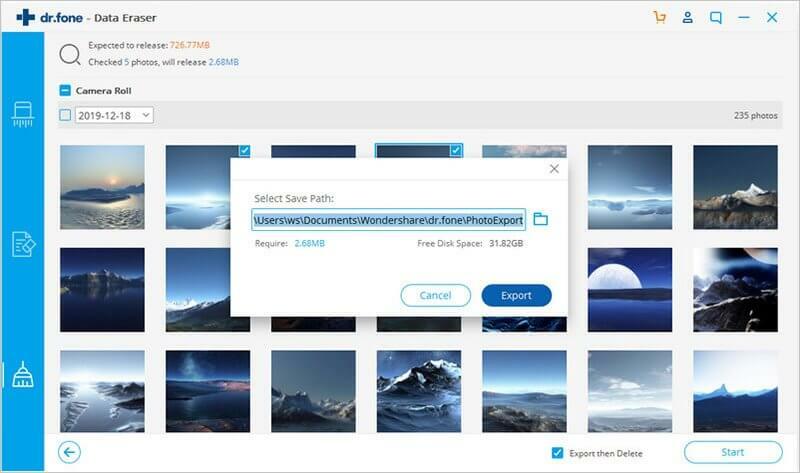 After exporting photos ends, you are able to view and check the exported photos on your computer directly.